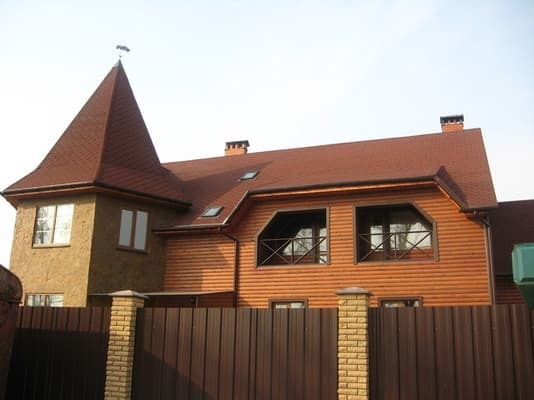 Cottage "Sania" is located in the suburb of Chernigov, 5 km from the city limits in the direction of Novgorod-Seversky. There is a 2-storey cottage with 3 bedrooms. Each bedroom is equipped with a double bed and a private bathroom. On the territory of the cottage there are parking spaces for 6 cars. 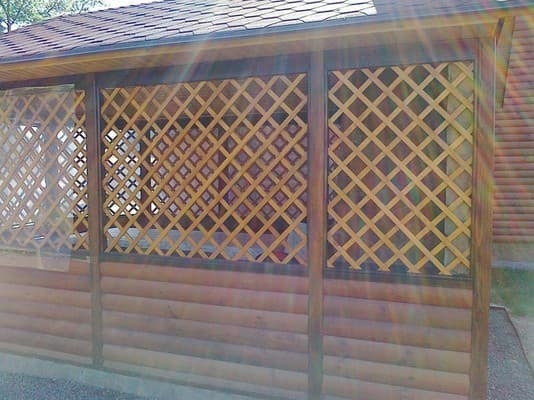 The spacious gazebo is equipped with a table with benches, an oven for cooking soups and a barbecue, and a sink. 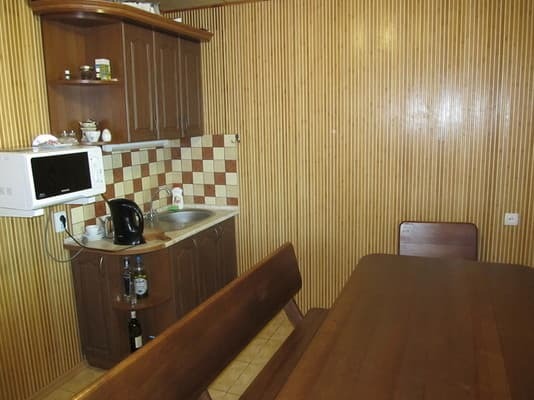 On the first floor of the cottage there is a kitchen (stove, microwave oven, electric kettle, all necessary utensils). Also within walking distance is a cafe. 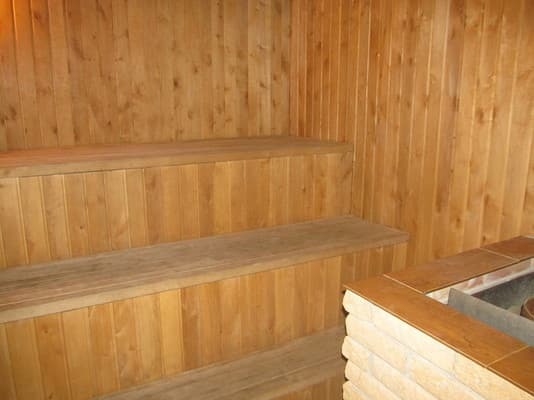 For a comfortable stay in the cottage "Sania" there is a sauna with a swimming pool (paid service). 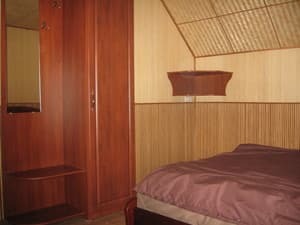 The cottage is located near the forest, 12 km from the center of Chernigov. The river Snov is 10 km away. Description of the room: Two-storey cottage with the possibility of accommodating 6-8 people. 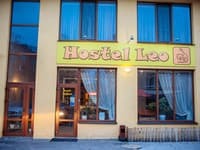 On the first floor there is a kitchen and a sauna with a swimming pool (chargeable service). On the second floor there are 3 bedrooms with double beds. Bamboo finish. Accommodation is possible only on the main sleeping places. On the first floor of the cottage there is a kitchen (stove, microwave oven, electric kettle, all necessary utensils). Also within walking distance is a cafe. 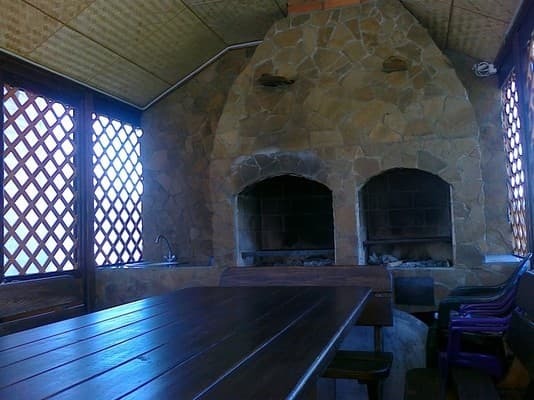 Cottage "Sania" is located in the suburb of Chernigov, 5 km from the city limits in the direction of Novgorod-Seversky, 12 km from the center of Chernigov.